NEW YORK (AP) – More than four dozen U.S. businesses have pledged $650 million in support to help some of the world’s refugees, the White House announced Tuesday as President Barack Obama seeks to highlight the refugee plight before world leaders gathered for the annual U.N. General Assembly session. Fifty-one corporations, including Facebook, Twitter, MasterCard, Johnson & Johnson, yogurt maker Chobani and other companies, have committed to easing access to education, employment and financial services for some 6.3 million refugees in more than 20 countries. Criticized for not doing enough to help desperate people fleeing their countries because of war and or for other reasons, Obama was hosting a refugee summit Tuesday with the leaders of Jordan, Mexico, Sweden, Germany, Canada and Ethiopia, along with U.N. Secretary-General Ban Ki-moon. Countries participating in the summit are expected to announce individual pledges that are in line with a U.S. goal of increasing humanitarian aid by $3 billion, doubling resettlement and providing access to jobs and education, said Samantha Power, U.S. ambassador to the U.N.
World leaders are grappling with the largest crisis of displaced persons since World War II, more than 65 million people who have fled their homes because of armed conflict or persecution, or because they are seeking asylum or a better way of life. Power said the summit wouldn’t be a “panacea” for the crisis, but would show what the U.S. can achieve when it leads on an issue of global concern. Last week, the White House announced that the U.S. would resettle 110,000 refugees in the coming year, a 30 percent increase over the 85,000 allowed in this year. 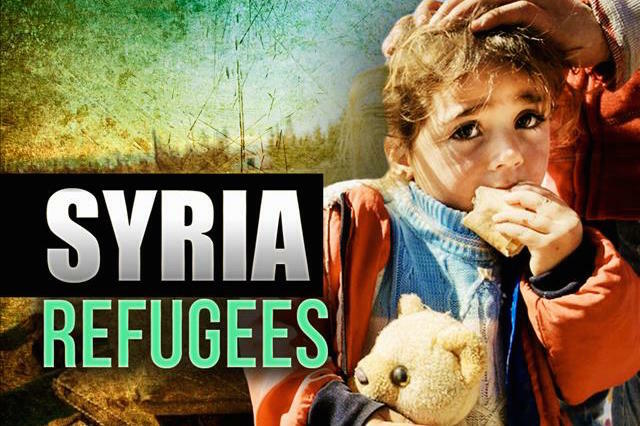 The 85,000 figure included 10,000 Syrian refugees, a figure advocacy groups had criticized as inadequate given the wealth of the U.S. and the fact that other countries, such as Canada and Germany, were welcoming far greater numbers of Syrians fleeing the civil war there. The administration has yet to release a country-by-country breakdown of the 110,000 refugee figure. Before the summit, Obama planned to meet with some of the CEOs of the corporations that have pledged support for refugees. The refugee issue, meanwhile, was for the first time the subject of a daylong U.N. summit on Monday. Leaders approved a declaration to provide a more coordinated and humane response to the crisis, but the document included no concrete commitments and is not legally binding.